Autores: MADRUGA, CLARICE S ; PINSKY, I. ; MITSUHIRO, S. ; CAETANO, R. ; LARANJEIRA, R.
Tema: O Segundo Levantamento Nacional de Álcool e Drogas: Metologia e Resultados Completos. Autores: MANZOLLI, PATR��������CIA,����������������������MADRUGA, CLARICE S ; PINSKY, I. ; MITSUHIRO, S. ; CAETANO, R. ; LARANJEIRA, R.
Tema: The Brazilian National Alcohol and Drugs Survey: Methodology and Results. 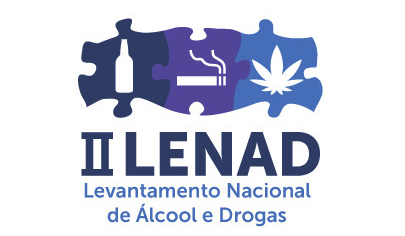 Trabalho: Prevalence and Correlates of Substance Use Among Adolescents in Brazil – A National Survey. Autores: MADRUGA, CLARICE S; FERRI, CP. ; PINSKY, I. ; BLAY, S. ; CAETANO, R. ; LARANJEIRA, R.
Trabalho: Alcohol consumption across the lifespan – The First Brazilian National Survey. Autores: MADRUGA, CLARICE S; PINSKY, I. ; MITSUHIRO, S. ; CAETANO, R. ; LARANJEIRA, R.
Autores: MADRUGA, CLARICE S; PINSKY, I. ; MITSUHIRO, S. ; CAETANO, R. ;����LARANJEIRA, R.
Conferência: Há ou Não uma Epidemia de Crack? Autores: MADRUGA, CLARICE S ; FERRI, CP. ; PINSKY, I. ; BLAY, S. ; CAETANO, R. ; LARANJEIRA, R.
Trabalho: Tobacco use among the elderly: The first Brazilian National Survey (BNAS). Autores: MADRUGA, CLARICE S;����������LARANJEIRA, RONALDO ; CAETANO, R. ; ZALESKI, M ; PINSKY, I.; FERRI, CP. Trabalho: Early life exposure to violence and substance misuse in adulthood ‘The first Brazilian national survey.